PLT’s GreenSchools program inspires students to improve the environment at their school, home, and in their community. 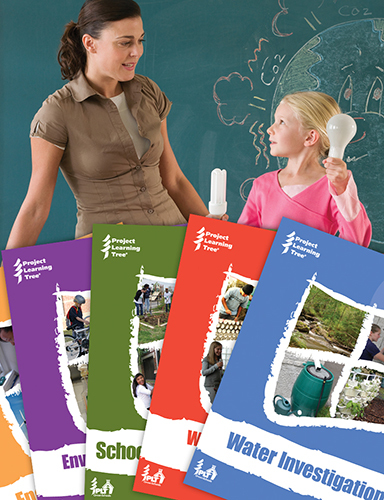 This nationwide service-learning program offers training and resources for teachers and students to reduce their school’s environmental impact, improve health and wellness, and save money. Give your students the opportunity to apply their STEM skills to make a difference in their world! Complete this online course for tips on starting a GreenSchools program, how to obtain equipment and collect data, and ways to empower your students to design and lead an action project. Get an introduction to PLT’s GreenSchools program. Understand the benefits of PLT GreenSchools—for students and your school. Participate in interactive learning experiences that will enable you to facilitate a green schools program at your school and get the support of school administrators, staff, parents, and community members. Find out how to obtain equipment and collect data. Engage in planning exercises to help you be successful in implementing the program. Learn how to effectively engage your students in conducting five investigations (Energy, School Site, Waste & Recycling, Water, and Environmental Quality) in your own educational setting. Discover ways to empower your students to design and lead an action project. See video demonstrations of GreenSchools students and educators in action. Get tips on how to measure your students’ impact and celebrate successes. Five hands-on, student-driven investigations are at the heart of PLT's GreenSchools program plus an Adult Leader section with tips on how to form a Green Team, suggestions for how students might conduct the Investigations, and ways to obtain grants for action projects. Your purchase includes a PDF of PLT’s GreenSchools Investigations. A printed book (168 pages) that includes the five investigations and adult leader guide is available separately for $34.95 which includes shipping and handling. After completing this online workshop, you will be eligible to apply for a PLT GreenWorks! grant for your students to green their school or neighborhood.